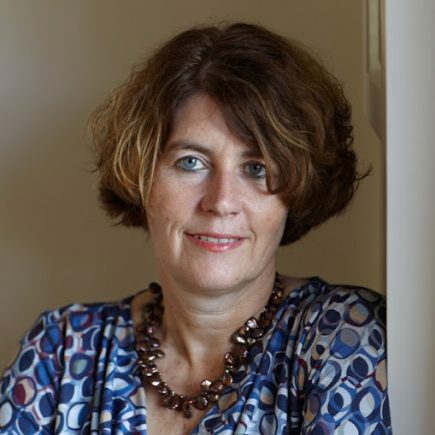 Birgit Meyer is professor of Cultural Anthropology at the Department of Social and Cultural Anthropology at the Vrije Universiteit, Amsterdam. She is Vice-president of the International African Institute, Co-director of the VU Institute for the Study of Religion, Culture and Society and member of the Royal Dutch Academy of Arts and Sciences. Her publications include Translating the Devil. Religion and Modernity Among the Ewe in Ghana (1999), Globalization and Identity. Dialectics of Flow and Closure (edited with Peter Geschiere, 1999), Magic and Modernity. Interfaces of Revelation and Concealment (edited with Peter Pels 2003), Religion, Media and the Public Sphere (edited with Annelies Moors, 2006) and Aesthetic Formations. Religion, Media and the Senses (2009) She is co-editor of Material Religion.